It is with heavy hearts that we announce the passing of ERNESTINE HEALY in Lethbridge on April 6, 2019. She was born and raised on the Blood Reserve but resided in Lethbridge until her passing. Ernestine is survived by her companion Clifford Fair Brown; children, Russell, Richard and Kimberly Rodgers; siblings Colleen (Chris) Strangling Wolf, Patricia (Jordon) Healy, brother Tyrone Healy; sisters Donna, Rebecca, Nicole, Ashly Gros Ventre Boy; auntie Evelyn (David) Striped Wolf; and her godchild Shannon Strangling Wolf and one grandchild, family relatives Chief Calf, Spear Chief, Mills, Brewer, Russell, Healy. She was predeceased by her mother & father Ernest & Mary Teresa Healy; grandparents Emil & Agnes Good Rider and John Healy; sister Tina; brothers Curtis & Alfie. Ernestine’s greatest pleasure was her many talents like doing crafts and cooking. She loved to dance and listen to all kinds of music, her favorite being Tina Turner. She also enjoyed fashioning her own clothing and visiting friends; she liked humour and loved to joke around. She touched a lot of people with her friendly ways. She loved to hug and be around friends, especially her friends at the park who she hung out with. She always had tall tales to share, funny ones. She had strong family values. She was an out going person. She will be missed by all who were touched by her kindness. A Wake Service will be held at the Streets Alive Mission, Lethbridge on Monday, April 15th from 4:00 - 6:00 p.m.
continuing at the White Calf Hall, Stand Off from 7:00 - 11:00 p.m. 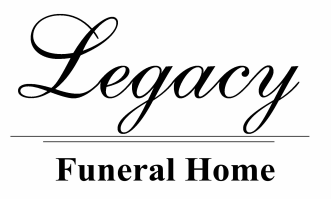 The Funeral Service will be at the White Calf Hall on Tuesday, April 16th at 11:00 a.m.